Oceanfront living at it's best. 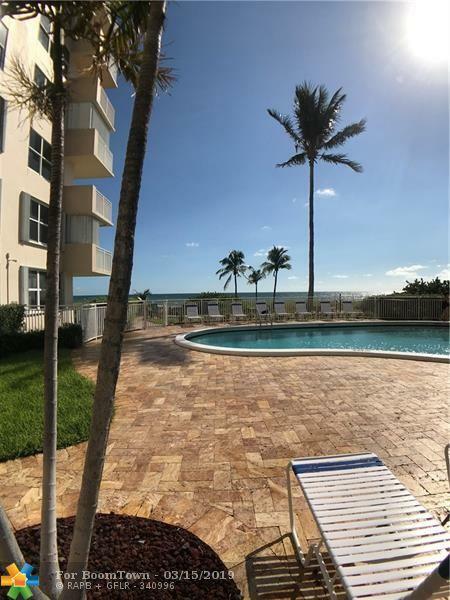 Amazing building amenities including a sparkling swimming pool, gym and two party rooms all with ocean views. 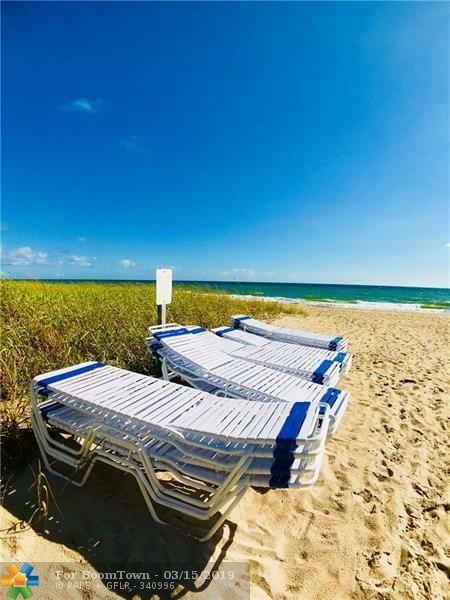 Other building amenities include saunas, extra storage, 24-hour guarded front desk, outdoor grills (gas and charcoal), and lounge chairs for the beach. 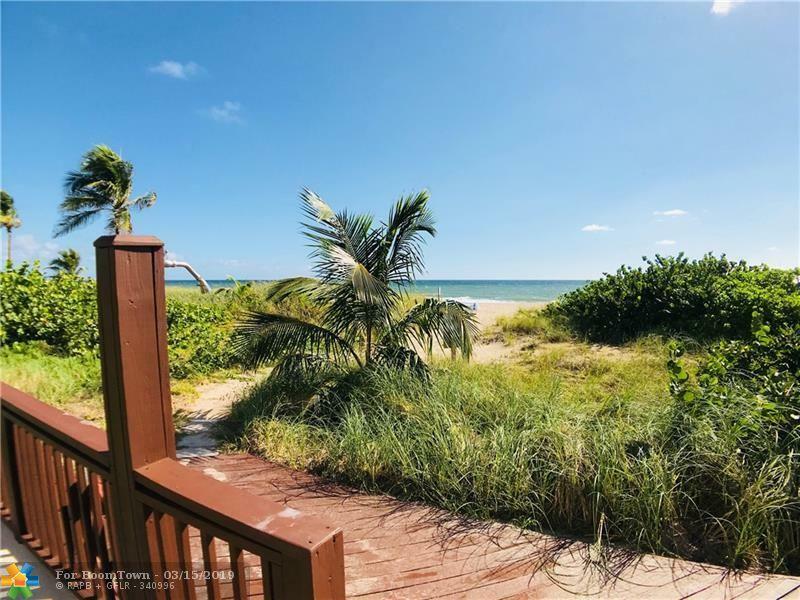 This oceanfront 2/2 condo is move-in ready. New oak wood flooring throughout, marble floors in kitchen and balcony, smooth ceilings, new baseboards, updated kitchen. Spacious master suite and master bath with marble shower enclosure with spa-like shower. Blackout shades in bedrooms. Washer and dryer in unit. Convenient to restaurants and shops on Commercial Boulevard and very close to Publix shopping center--this eastside location can't be beat.